Discover Sycamore member businesses invite chocolate lovers to delve face first into Chocolate Weekend- three days dedicated to the most beloved dessert on the planet. 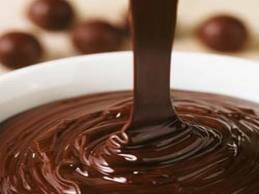 Indulge yourself in shopping and chocolaty bliss December 3rd, 4th and 5th. Discover Sycamore member businesses are creating a festive holiday atmosphere and providing chocolaty incentives to shop locally. Chocolate greeters will be in Downtown Sycamore to pass out tasty morsels from the Confectionary and can direct you to the many wonders available locally for your holiday shopping pleasure. Businesses will delight you with special events and promotions featuring delicious deals and Holiday gifts for all. This weekend is designed with a chocolate lover at its center of attention and will delight you with delicious treats, charming shops and dazzling chocolate demonstrations.